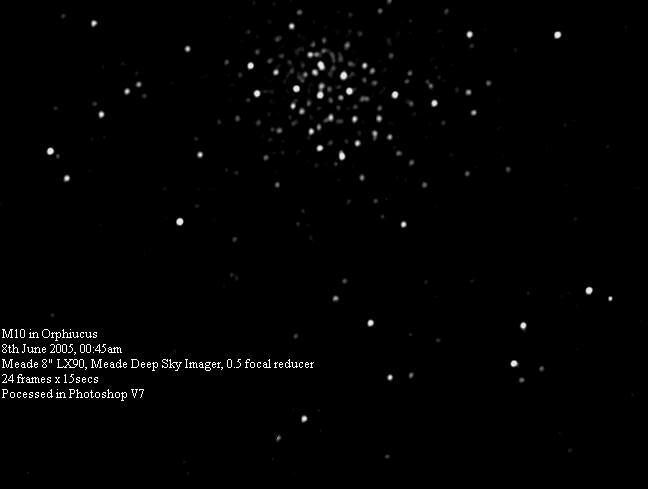 The following is a processed image of M10 in Ophiucus taken by Simon Allcock, Adrian Brown and Chris Newsome on the evening of 7th/8th June 2005. It was taken through Simon's 8" LX90, with Chris' Meade Deep Sky Imager and Adrian's 0.5 focal reducer - a real team effort!!!! The details are on the picture.